This year marked the fifth year of Abora Chillout, and the label had yet another marvelous year, filled with exquisitely peaceful, beautifully soothing, and softly uplifting music of all genres. 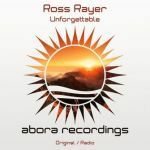 To celebrate, Johannes Fischer, Ori Uplift, Cerulean Sky, and Trancelab picked the 14 very best chillout and orchestral tracks released in 2017 on the Abora family of labels: Abora Chillout, Abora Symphonic, Abora Skies, and the main Abora Recordings imprint. 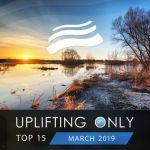 Featuring top artists such as Afternova, Johannes Fischer, InnerSync, Playme, Ross Rayer, Andrea Becker, J2P, Jeïtam Oshéen, Anske, Eric Senn, Maxime Luft, Max Denoise, Casanovix, Claire Willis, and more! Moreover, the release includes a wonderful continuous DJ mix of all 14 tracks, beautifully mixed by Johannes Fischer and Ori Uplift. Enjoy this wonderful "Abora Chillout: Best of 2017" release!